We do not recommend prenatal vitamins. The Weston A. Price Foundation recommends a dose of high-vitamin cod liver oil per day to yield 20,000 IU of vitamin A, 2,000 IU of vitamin D, and 2 grams of omega-3 fatty acids (about 1 3/4 teaspoon per day). Read more Vitamins for Fetal Development: Conception to Birth. We recommend the books The Nourishing Traditions of Baby & Child Care as well as Beautiful Babies via our Amazon affiliaton. What was your prenatal diet like? 36 Responses to What about prenatal vitamins? Thanks for this excellent post! I might add a footnote about folate/folic acid. Folate is the natural form of the nutrient found in food. Folic acid is the synthetic, manmade version found in many multi-vitamin supplements and it can actually be quite detrimental. Best to obtain it from food and in its natural form. Thank you for this point of clarification Beth! It is really the Weston A. Price Foundation that has done all the research. I have only publicized it! What about whole food based vitamins? The recommendation is to simply eat whole food. Hello! I have been trying to implement a lot of the recommendations of the WAPF over the last several years, and when we became pregnant with number 3, I was especially eager to do right by my body and give it the nutrition it needs! However, our family budget is such that we do not have anywhere near enough to purchase things like grass fed meat, pastured eggs, and raw milk. I try to do the best with what we have, eating two eggs daily, eating lots of butter (store brand though), drinking milk liberally, soaking grains (I am getting better at this), drinking kefir, eating lots of home-prepared beans, etc. I am taking cod liver oil daily, which makes me happy! But we can only buy meat/poultry once or twice a week, and I know getting protein from meat is a big part of the WAPF recommendations. What do you suggest to people who would love to be eating all high-quality whole foods, but have to settle for less because their income just doesn’t allow it? The WAPF website kind of takes an “all or nothing” approach when it comes to this diet, and I would like to see some advice that’s a little more doable for a low-income family. So, I’m in a similar boat. We have a pretty limited budget ($80/month + WIC – I live in NY by the way), so I do my best on certain things which I feel are non-negotioable. I do eat store bought eggs, but I wouldn’t touch the store dairy. Instead of high amounts of butter like I prefer, I buy Kerrygold, 1 pound a month and make it last. I figure the nasty stuff in the store brand being replaced with the good stuff in the grass-fed Kerrygold is a step up even if I don’t consume as much as I wish. My family has grass-fed beef once a week ($6/lb). Recommended serving is a quarter lb so I cook half a lb and give a few little bites to my 11-month old. Once a week we eat grass-fed liver ($4/lb at farmer’s market). You can find non grass fed at the supermarket for the same price, but I cannot stomach it! We also have wild salmon once a week ($5 for 4 pieces at Aldi). WIC provides 6 little cans of salmon that I share with my baby, and I spread it out within the month. The rest of the week we eat soaked beans or lentils for dinner as protein, and once a week we have a sort of protein-less dinner of whole wheat pasta – hey, it’s not the best, but it’s not easy mac! i mostly don’t get organic veggies, except carrots and sometimes brocc and celery. We also eat a lot of frozen veggies ($.99/lb) when we can’t go to a farmer’s market. One special thing I always do though is make sure to make my own fermented cabbage sauerkraut for the wonder probiotics among other health benefits. Besides that, the rest of our health comes from things we avoid – sugar, anything artificial, bad oils, processed grains etc. Overall, my philosophy is to prioritize, and relax! I hold meats and dairy as the primary things to “worry about” as far as quality, and the rest I pray over and thank God there is food on my plate. This is amazing!! Thank you for sharing. It’s great to hear that others still make healthy living a priority when finances are an obstacle. I have the hardest time with this, and it’s great to see how you implement eating well. Thanks – you are doing great! Sarah, you ask the perfect question! How to make it practical and make the best choice you can given your specific situation. Perfect isn’t always possible and I agree with you that what people really need to know is beyond what is perfect/ideal to find what will really work in our lives. I should say that I have met Sally on more than one occasion, been to her farm, and eaten food she’s prepared (her almond cookies are to die for!). I have learned so much from WAPF, and my interest in quality food and its impact on our lives was part of what drove me to get my master’s degree in Nutrition & Integrative Health. There is tremendous value in understanding traditional diets. But we aren’t traditional people. Everyone is different and the “best diet” in practice will look different for everyone. And I’d hate for someone to skip out on a high-quality prenatal vitamin (which do exist) and fall short of the perfect diet and land themselves in a real pickle. Yes, principles are important. Now let’s get practical. To answer your question – I would say, do the best you can, do what you are comfortable doing, and listen to your body above all else. It sounds like you’re well on your way. Hope that helps and best of luck. Hi Sarah, I would say simply do what is doable for you within the recommendations made. I personally would prioritize spending money on food rather than on any vitamins or supplements. One of the most nutrient dense foods is organ meats, and often less expensive than other animal foods. While we are teaching about optimal nutrition, I don’t think it is “all or nothing”, nor do I believe that is what Sally Fallon Morell would say. I think that any elimination of industrially processed food products is of great benefit, as is the addition of whatever nutrient dense foods you can comfortably procure. Thanks for the post! I am wondering if Sally Fallon Morell made a mistake, though, in her email to you. EPA and DHA are both conversations of Omega 3 fatty acids, and both are very important for health. I am not sure if it is exactly correct to say EPA interferes with DHA, though it does seem to be more difficult to convert Omega 3 to DHA than it is for EPA. More importantly, though, and she is correct about this, EPA interferes with AA (arachidonic acid). AA is responsible for cellular inflammation, so one could say, then, that EPA is anti-inflammatory. Maxine, I will pass on your comment to Sally Fallon Morell and will share her response! i have been implementing WAPF over the last couple years. i was not unhealthy or overweight or infertile to begin with, i simply wanted to be even more healthy. however, recently i have been diagnosed to be stressing my kidneys too much with too much protein and i have been prohibited from consuming bone broth completely because of my kidney situation…….what is this all about? why is bone broth and eating grass fed beef eggs and milk causing stress on my kidneys? i am not pregnant with number two and i am so unsure what to do! i do want to provide my body and fetus the right nutrients for proper development but at the same time i can’t ignore my kidney numbers…what would you suggest? I think you meant to write that you are now pregnant? I would highly recommend you consult with a health practitioner such as Dr. Thomas Cowan, MD, a holistic medical doctor, or a certified nutritionist such as Anne Fisher Silva or Julie Matthews. We have a list of referrals of folks who do phone and Skype consultations and are aligned with the dietary principles we focus on. 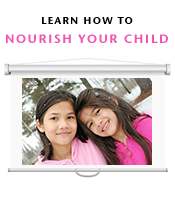 Please write to Katie at info@nourishingourchildren and ask her for our referral list! Skype consultations. Awesome! Ill have to put them as referrals on my blog. I started writing about alternative birthing options after I experienced my own wonderful homebirth. Im trying to make a list of resources for my readers as most of them are first time pregnant women and first time moms. Thanks 4 your work. My blog is http://bumpintoreality.com if you wanna stop by! Very interesting. It seems a little scary to me to not supplement with folic acid, considering how incredibly important it is during pregnancy. I don’t know if I could trust myself 100% to make sure I get enough through diet. But definitely very interesting. I’ll keep this bookmarked for my next pregnancy. Would it be ok to follow the diet and take high quality food based prenatals? Lisa, they are really not recommended at all. Not a single brand. I would put my money into cod liver oil or other nutrient dense foods. Also, why not the whole raw egg in the smoothie? I do this daily. Great article. I totally agree! I have found way more success by eating real food than by taking supplements. Food is way more powerful! Excellent post. I wish I read this while I was pregnant. I was always very skeptical about prentals and didnt take them, trying 2 supplument with a nutrient dense diet. It would have been helpful to know about the cod liver oils and the various types of food you list here. Great post. Do you think a person would get enough iodine by supplementing with cod liver oil during pregnancy? I ask because I have just been diagnosed with very low iodine after feeling ill for months. I eat lots of grass fed butter and meat, organic milk and celtic sea salt. However I haven’t been taking CLO for a long time. Kind of scared me as I have only finished breastfeeding my 2 year old a few weeks ago and was wondering how low my iodine levels could have been while I was pregnant. I have read that low iodine is becoming an increasing problem in some developed countries due to changes in farming practices, mostly in the dairy industry and also fluoride added to our drinking water. Do you think a traditional diet is enough when our bodies are being bombarded with toxins that leach essential nutrients from our bodies? Agreed!! I had a super healthy pregnancy (admittedly the first trimester I felt queasy having anything other than raw goat’s milk, speedy delivery (def. recommend doing the transverse ab exercises too) and now a remarkable 1 year old… I followed nourishing traditions, WAPF, etc. And now my babe eats like a champ – loves her livers, yolks, fats, soup stocks, veggies, etc! So wonderful to read! Thanks for the testimonial, Andrea! I agree, copwatchvancouver. I have been so sick this first couple months (I’m just 9 weeks pregnant with my first), that it’s been impossible to eat everything I should. And I can’t afford to eat everything completely as recommended either. This is the first I’ve heard about prenatal vitamins not being recommended, so I’m kind of freaking out as I have been taking them. I think I’ll at least look into getting a high quality organic one, and hopefully I can eat better after the next month or so. When i can stomach them, i do eat our own chickens’ eggs (which are free range and organic non-GMO fed), grass fed beef, kefir, and organic veggies and fruits. But I can’t afford to eat meat every day even though I crave it! My cod liver oil is in transit, so I’ll start that very soon. Everyone who is worried about not having enough nutrients in the first trimester, doesn’t Sally say that’s why it is so important to have a good pre-pregnancy diet as that will carry you through your first trimester without deficiencies? I am 8 weeks with my 3rd and this is the first time I’ve implemented Weston A Price diet during pregnancy. As soon as I was pregnant all the nutrient dense foods I had no problem eating (and loved) are gross to me. I am trusting that my diligent preconception diet is carrying me through to the second trimester when I will be able to eat normally again. I do take a few supplements though. I take fermented cod liver oil, desiccated liver capsules, vitamin C, zinc, garlic, digestive enzymes and Diatomaceous earth. I would try juicing if you’re too nauseous to eat much. Carrot, beet, apple, and ginger root juice is very delicious and the ginger may help with nausea. Which of the brands do you recommend who wants to be pregnant and after? Omega 3, D & A, Multi-vit etc. I would be helpful.